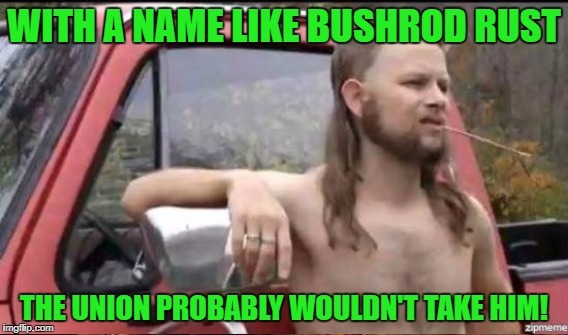 I think that it depends upon what PART of Ohio he was from. I grew up in Northern Ohio, and I can tell you that every time that I met someone from Southern Ohio they had a terrible southern accent and were country as hell. Pro'bly cause a lot of us were transplanted "By Godders"..West 'by God , stole from" Virginians who migrated across the river looking for woek...Dad '59..
A lot of folks in Southern Ohio moved to OHIO in the 1950's manufacturing boom, went to work at NCR, Fridgadare, GM plants around Dayton..Dad brought us there in 1959, went to work at NCR country club. Folks always ask what part of the South I'm from even though I was born in Dayton. Ok, popular mythology has all Confederates being rich plantation and slave owners. 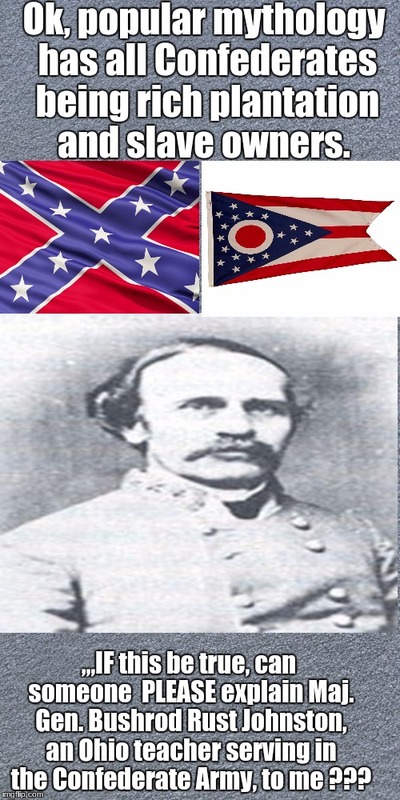 ,,,IF this be true, can someone PLEASE explain Maj. Gen. Bushrod Rust Johnston, an Ohio teacher serving in the Confederate Army, to me ?? ?